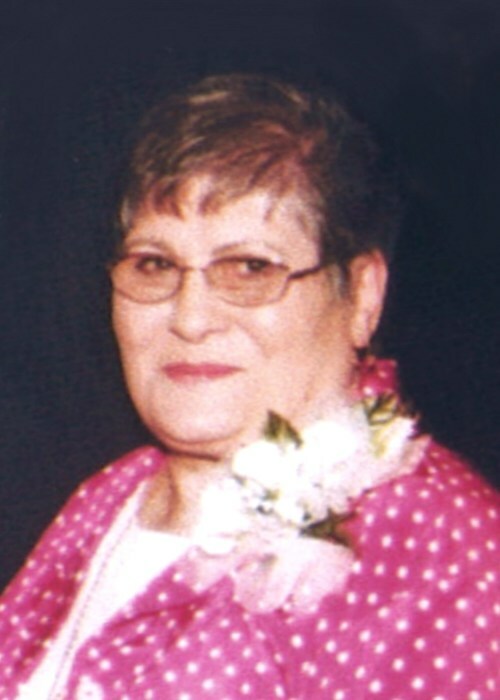 Leada Moyers, 80, of Crossett, died Friday, April 12, 2019. Mrs. Moyers was a native of Chicot County and a resident of Crossett for many years. She was a member of the First Baptist Church of Crossett, loved spending time with her family and enjoyed sewing and reading. She is preceded in death by her husband of 58 years, Danny Moyers; her parents, Clifton and Mattie Fuller Sadler and a brother, Curtis Sadler. She is survived by her sons, George Moyers and wife, Tommie, and Bill Moyers and wife, Karen, all of Crossett; a sister, Kathy Hill and husband, Dean, of Hamburg; two brothers, Roger Sadler and wife, Shirley, of Parkdale and Richard Sadler and wife, Judy, of Portland; a sister-in-law, Linda Sadler of White Hall; a brother-in-law, Tommy Moyers of Portland; five grandchildren, Matthew Moyers, JoAnna Moyers, Emily Moyers, Alan Bickford and Jared Bickford and seven great-grandchildren. Funeral services are 2 p.m., Monday, April 15, 2019, at the First Baptist Church with Rev. Jamie Staley officiating. Burial will be Pinewood Memorial Park. Pallbearers are Alan Bickford, Jared Bickford, Greg Moyers, Trey Moyers, Tommy Moyers and Matthew Moyers. Honorary pallbearers are Claude Spainhour, Searcy Thomas and Elton Dumas. Memorials may be made to the First Baptist Church Loving Care Sunday School Class, 701 Main Street, Crossett, AR 71635. Visitation will be 5-7 p.m., Sunday, at the funeral home.